BOURJOIS PARIS - HEALTHY MIX FOUNDATION - NO.53. Recently I've been so desperate to try a new foundation, preferably something that was a little more dewy than my usual L'Oreal Infallible foundation, which has more of a matte finish. Now I'm not one for branching out in foundations as every time I've tried, they've either been the wrong shade or the coverage just wasn't right, but this year I've told myself that I will test more foundations and I will find the perfect match! Now some may think that I'm a bit slow on the blogger hype, but I don't usually buy items just because everyone else has them, unless it has a unicorn on it or it's a little bit weird. As I do usually like to wait and read the reviews to see what people really thought after a few weeks/months of trialling the product, just so you feel like you have more of an honest opinion on the product and not just a review after using it for a day. 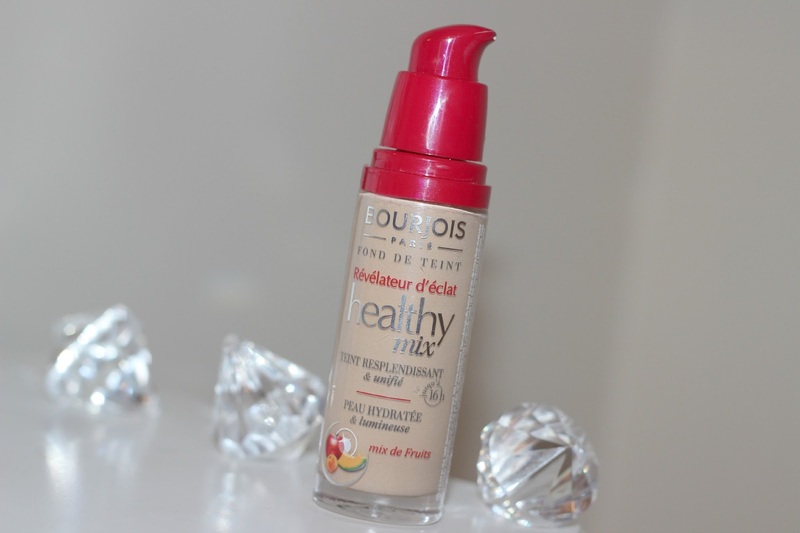 What I loved about the Bourjois - Healthy Mix Foundation was that the colour chart was a little more realistic than most drug store shades and it was more of a high end colour match for my skin. I went for no.53 and this is very much like my MAC shade, which ranges between nc25/30. The colour match couldn't be more perfect for my skin tone, with the subtle yellow undertones. 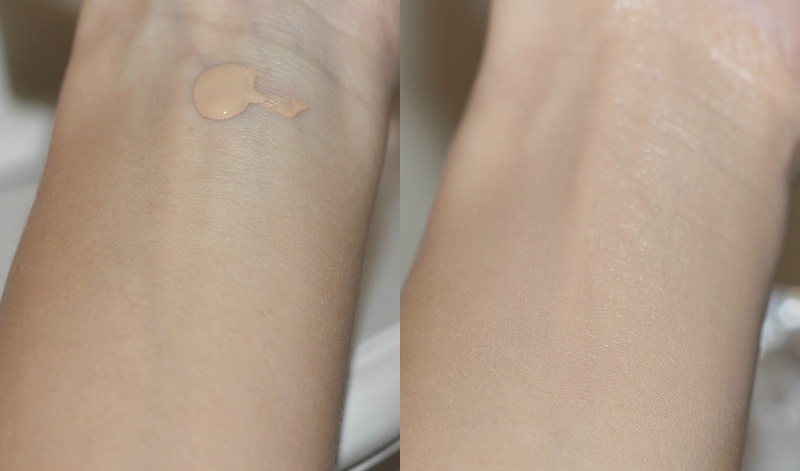 The coverage of this foundation is great, you can choose between a medium coverage or something a little heavier with 2 pumps. I found that the foundation lasted such a long time on my skin, which I was quite shocked about with it being a dewy finish and with it not being set with a powder either. I would say that it lasts around 8 hours +. The finish of this foundation is lovely, it quickly adds youth to your skin with the dewy finish, but all I will say is that you may need to apply a little concealer to any heavy blemishes, as I had a scratch on the end of my nose (thanks dog) and it didn't really cover that for many hours, I did have to touch up once or twice throughout the day, but other than that I found this foundation pretty much perfect for my skin. As you can see above the colour match is spot on for my skin tone and you can kinder see the dewy finish in the photo on the right. I think I've decided already that this is going to be my Spring/Summer, holiday foundation and I will definitely be re-purchasing this little gem. Have you tried any of the Bourjois foundations before? What's your favourite foundation to date? this is 100% my favourite foundation! I always try high end foundations hoping I will fall in love but this always come out on top! deze vind ik zo fijn love this product! This looks soooo pretty! I need this. I love this foundation, I've used it for a few years now - I've recently bought the Nars but I choose the Bourjois for an everyday fix. I love the finish it gives.